Dinner in 10 minutes. I am not even kidding. Enough real food goodness to make it nutritious AND enough cheese to make it super YUM! So easy you can’t stuff it up. Even after a glass of wine (or 3) after work. I may, or may not, know this from experience. I usually have everything I need to make this in this in fridge and pantry. Tuna tick. Bread tick, Random veggies that need to be used tick. And, cheese. Well obvs. Watch out guys. You may get addicted to this one. Which is not actually a problem. Because, on the good for you scale. My healthy tuna melt does pretty okay. Let me know if you give it a go. I’d love to hear what you think. Super tasty and packed full of veggies. 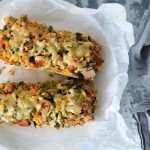 This 10 minute healthy tuna melt is the perfect weeknight dinner. Don’t throw that away! 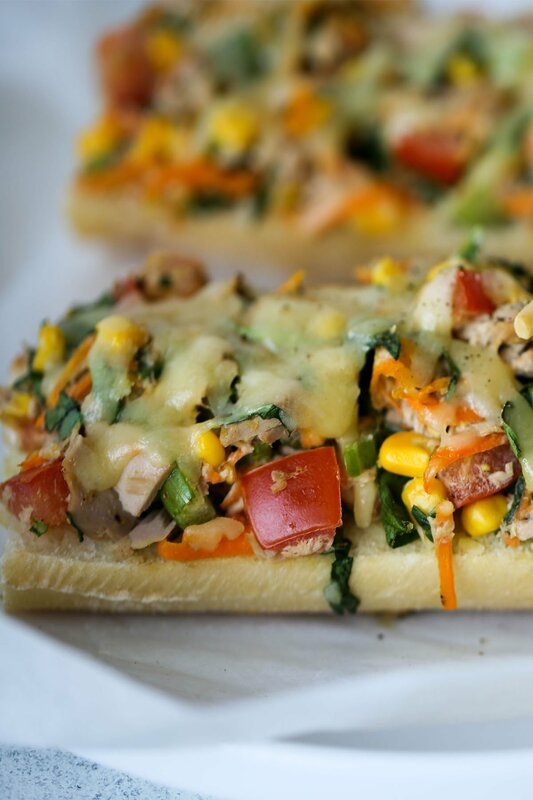 My healthy tuna melt…awesome way to use up leftovers. Switch up the spinach, tomato and celery for anything that needs using up. Or use regular bread instead of rolls. If you’re sugar free like me, check that your canned sweet corn has no sugar added. I know right? It’s sweet enough! 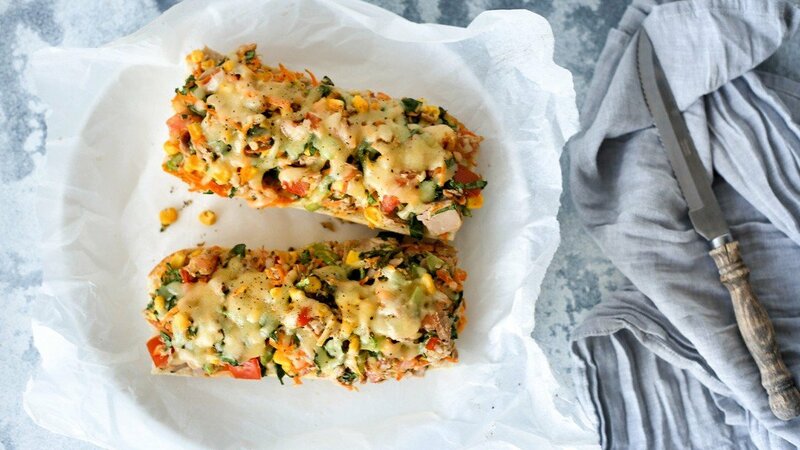 P.S – Want a whole weeks worth of dinners just like this awesome Healthy Tuna Melt? Grab your FREE quick and easy weeknight dinner plan right here. This tuna recipe brings color to my plate. I can’t wait to share this to my friends. Looking forward to more this. Btw, If you need to buy ingredients for your next recipe, Doorstep organics ( http://www.doorsteporganics.com.au/ ) is a big help. Feel free to contact them if you wish to buy. Meanwhile, I’m gonna do this at home. I will be sure to check out your store.